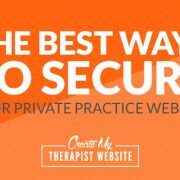 I believe the blog on your counseling website DESERVES to be shared with the world. You’re probably sharing your posts on your social networks, but is your blog optimized to let OTHERS share your amazing content? 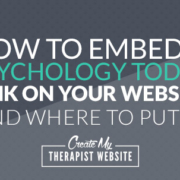 One way to increase your social footprint and drive more traffic to your therapy website is with the use of social sharing buttons. You’ve seen them. They’re those buttons on the top, bottom or floating on the side of most websites that let you share content on Twitter, Facebook, Pinterest and other social media. According to a past study of the 10,000 largest websites, those that featured Twitter share buttons were, on average, mentioned in 27 tweets containing a link back to the site, whereas those not featuring tweet buttons were mentioned, on average, in only four tweets that contain a link back to the site. So, you might be wondering… Daniel, how do I install install these social sharing buttons on my website? If your website is built on WordPress, you’re in luck. 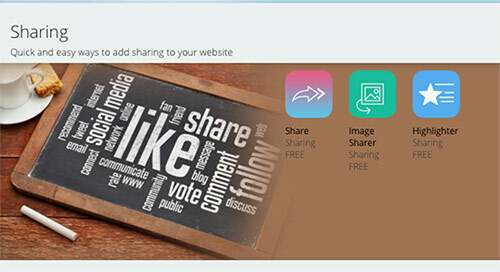 Social sharing plugins make it stupid easy to install social sharing features on your blog. You can do it in about 5 minutes. The only issue I’ve run in with social sharing plugins on WordPress is that there are just SO many to choose from. Some of them are more easily to customize than others. And some have limitations on where the buttons can be placed. 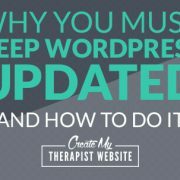 I did some research when developing a few websites over the last year because I was not content with the plugins I used in the past. They didn’t look cool and I couldn’t get them to work how I wanted. I must have installed 5 and then un-installed them on my own blog. After searching for eons (ok, maybe not THAT long), I FINALLY found some great social share buttons from the company SumoMe. And I fell in love (is that weird?… to fall in love with social sharing buttons?… maybe.. I dunno). Like I said, there are many plugins out there. You can use whatever one you like. 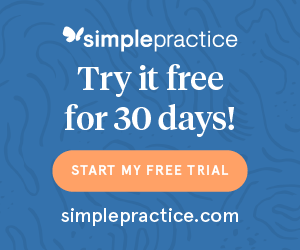 I only recommend SumoMe because I’ve used them and it’s been the best plugin for me by far. But just like I did, test out a few and see what works for you. 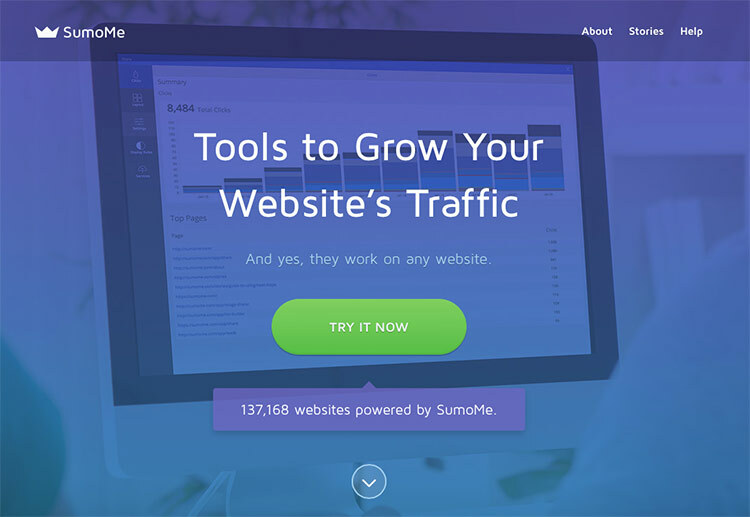 SumoMe is a company that builds tools to help you grow your website traffic. Plain and simple. They are real online marketers and entrepreneurs that stand by and use the tools they produce. 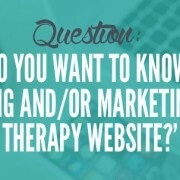 Heck, they even support you with tips on how to make your website a complete success. I’m really impressed with what they do, and that’s why I use them on my blogs today. They have many tools you can add to your website, like pop-ups and ways to build your email list, but today we’ll focus on their Share Plugin. 1. Log into the WordPress dashboard and click on Plugins on the left navigation. Sharing features will be installed. Close out of that screen and click on the crown icon at the top right. 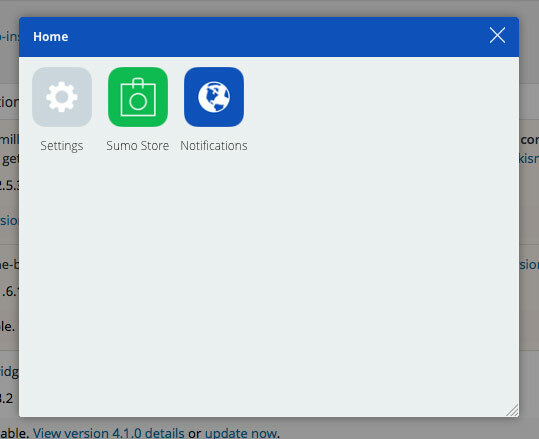 This area is where you can access the SumoMe settings in the future. Ok, now that the share plugin is all installed and we’re feeling good, we have to make sure the plugin is set up how we want it to be. Let’s go through what each setting does. A few settings are paid features, so I’ve omitted them in the explanations below. Clicks is the summary of how many times people have clicked on your share buttons. It should read zero when first installed (no one has clicked yet) but over time this will give you insight as to the total clicks and which of your pages is getting shared the most. If you stick with the free version, the data is limited to only the last 7 days. 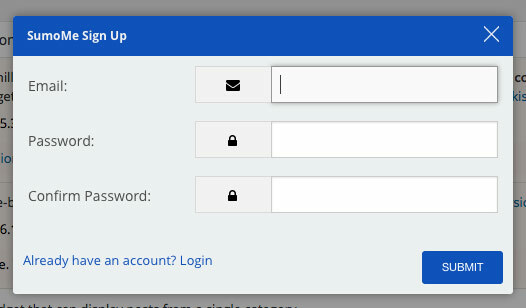 The settings screen is where we start to customize. 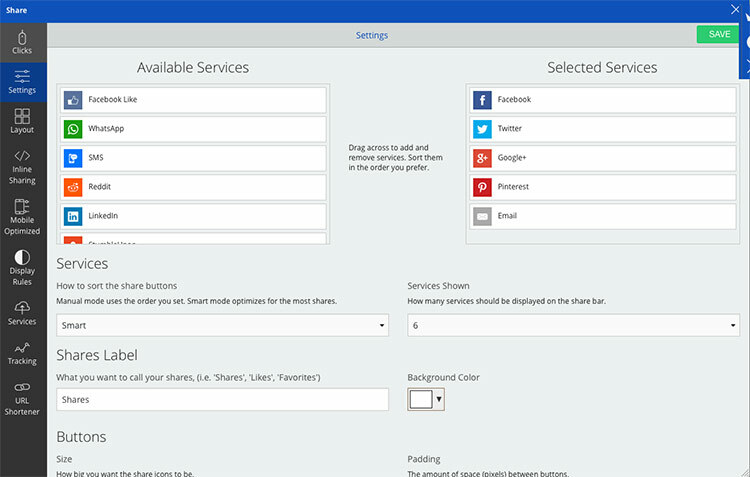 You can choose which social media sites you want to allow your blog to be shared on. Drag from the “available services” to the “selected services” to add networks, and the other way to remove them. You can then re-order them by dragging and dropping them within the “selected services” view. Go through each of the settings and choose your preference. One of the reasons why I love this plugin is you can really customize here. You can change how many services show, the size of your buttons, how they’re sorted, change the background color to match your brand, change the shape and decide at what screen size you want the share buttons to switch to mobile view. Go through each setting, making changes and saving them as you go. You can have your blog open in another browser window to refresh the page and see how the changes look, until you arrive at something you like. 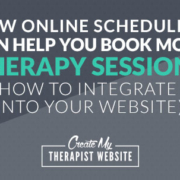 The layout panel lets you choose exactly where you want to place your social sharing buttons on your therapy website. Click on each gear to turn it blue and set where you think they’ll work best. You may want to test different locations to see if the difference leads to more shares or not. I’m more of a “set it and forget it” kinda guy here. I just like having them constantly visible so I opt for the left side floating share buttons. 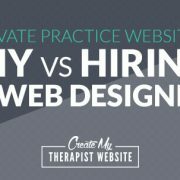 Test it and do what works best for you your private practice website. 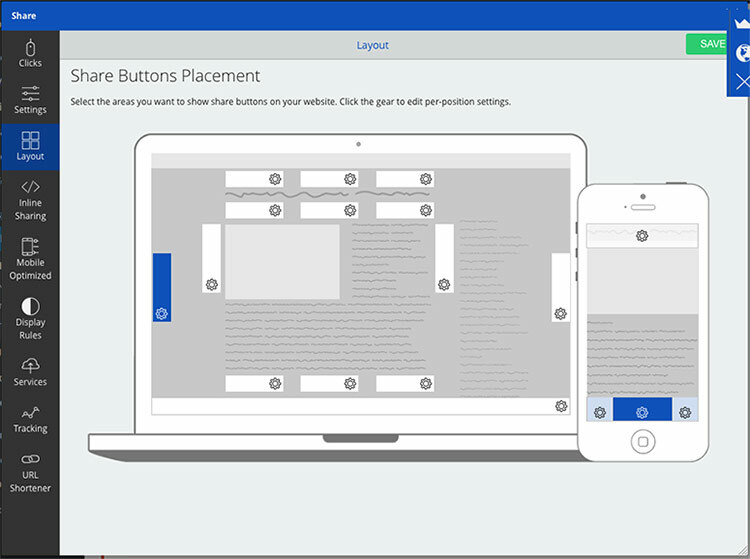 Using the Display Rules settings, you can choose what pages you want your share buttons to appear on. With the free version, you get a good amount of options for places to show or hide the buttons. Setting it to show on “All pages containing an article” will make the share buttons only visible on your blog. Add multiple rules to get really specific, if you want. You can even have them appear only on certain size screens. The combinations are endless! 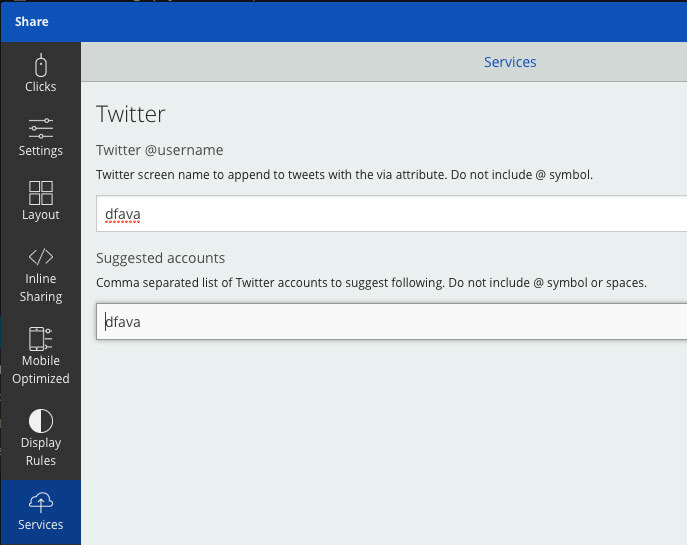 The services tab lets you include your Twitter username, if you have one. This way, any time one of your amazing counseling blog posts is shared on twitter, it will automatically include a “via @YourTwitterName”. This is great because other people will not only see your link, they can follow you on Twitter as well. BONUS! Go to http://sumome.com/instructions#step2 and you can grab a piece of HTML code and follow the instructions on that page to register your account and install the tools. I have to mention that with the free version of this plugin, there will be a visible SumoMe logo underneath your share buttons. Personally, it doesn’t bother me because I think the free version has tons of options and works great. Aside from that, there is a TINY blue line that will appear on the side of your site (you can see it at the bottom left of this post). This is for you to log in to SumoMe. 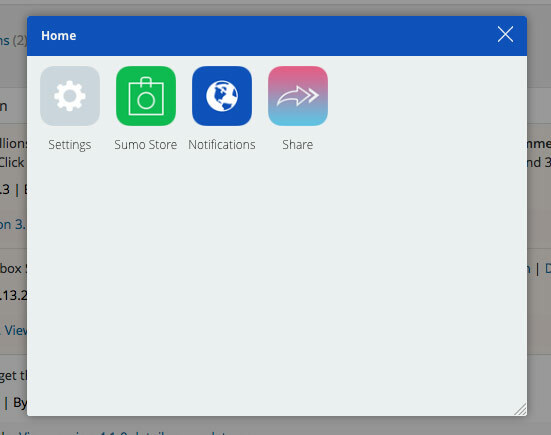 You can change the location of this in the SumoMe settings box. Again, it’s the tradeoff for using the free version. 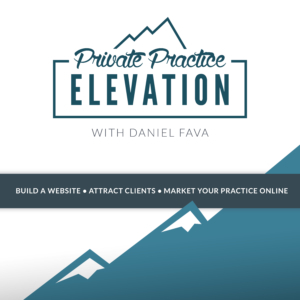 How has marketing your private practice on social media been going for you? Let me know in the comments. How do I get it to link to my professional Facebook page, rather than my personal profile? Thanks! The social share buttons are used to allow readers to share your blog posts to their own Facebook profile. So, linking to your professional page would have to be done elsewhere. That’s more of a “follow” functionality than a “share” functionality. You could try searching for social follow plugins. These usually give you a widget in the sidebar where you can then add in all your links to your social media profiles. Some themes give you these settings as well, you’d have to look through your theme settings to see if yours includes it. Hope this helps!